Gas is not just the most economical fuel to heat water; it is also the fastest. These are the two major reasons why most people choose gas. Gas also conserves water too; almost 66% of water is saved each time water is heated. Gas hot water heaters have thus become a permanent fixture for most homes and commercial establishments these days. 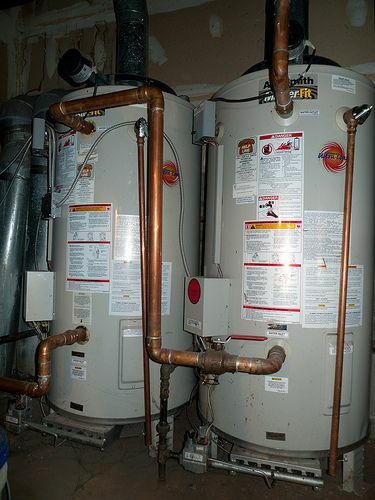 The working of a gas hot water heater is simple. These heaters make use of liquid petroleum gas to heat water. As you switch the tap on, the water from the geyser goes through a battery operated valve and also through the area where the LPG flows into the main burner. The burner comes on and the water is heated. When the tap is switched off, cold water flows through valves because the burner is not activated. If, by any chance the heater becomes overheated the burner will switch itself off. If the water supply is cut off, the heater will go off by itself, but it will not harm the heater. When you are looking to buy a water heater for home purpose, you must think of a few other things as well. You need to consider the kind of climate you have in your country all year round. If you have moderate climate throughout the year you will have to go for a water heater that conforms to a moderate temperature. Similarly, if you have extreme temperatures you must be buy a heater that works well during temperature extremities. Rust is a major issue for all kinds of water heaters. So when you are buying yours make sure it is totally rust free. Most companies are coming up with a kind of polytuff textured powder coating to prevent rust from forming. The non-corrosive cabinet has a beautiful finish which makes it all the most attractive on the outside. This coating also makes sure the heater remains strong for a very long time. Durability is one of the strongest points in gas hot water heaters. These gas heaters are good for the pool too. They are fitted with a very special stainless steel tube sheet so the pool gets pure water all the time. Since rust is not formed, the water remains pure. If you want an unlimited hot water supply then there are heaters that provide you with the same. When you are buying gas heaters make sure you read the installation details and note the warranty period too. Another biggest advantage of such heaters is that you can save on utility bills. There is a plethora of options when it comes to gas hot water heaters and you can have your style, color and design too.